From its inception, Star Trek: Voyager was destined to be a different kind of series. As the flagship program of the brand-new United Paramount Network, a great deal of attention would be paid to the new captain, her crew and their unique mission to explore the strangest new worlds ever. The producers, writers, actors and myriad staffers expected a challenge. They were not disappointed. Back in 1968, the mission of Stephen Edward Poe (then writing as Stephen E. Whitfield) was simply to chronicle the Star Trek experience. With the publication of his behind-the-scenes study, The Making of Star Trek, Poe became an integral part of the Star Trek mythos. In A Vision of the Future - Star Trek: Voyager, Poe brings that same unique perspective to a recounting of the latest Star Trek incarnation. 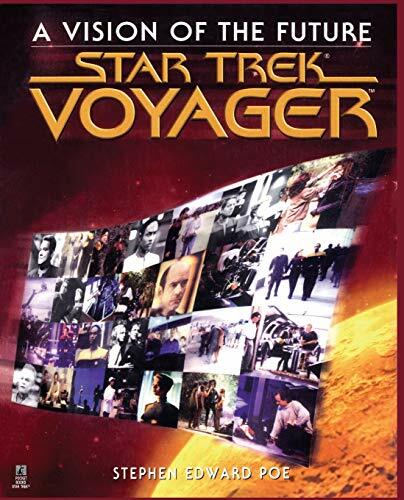 Filled with commentary from he creator/producers to the stagehands whose efforts often go unheralded, A Vision of he Future paints a rare portrait of the struggles and triumphs of the earliest days of Voyager. Poe exposes not only the nuts and bolts but the hearts and minds of the people who will carry Gene Roddenberry's vision into the twenty-first century.